Bad Day Development Diaries 5: Music! I’ve been really lucky, over the years, to collaborate with Andrea Possee. 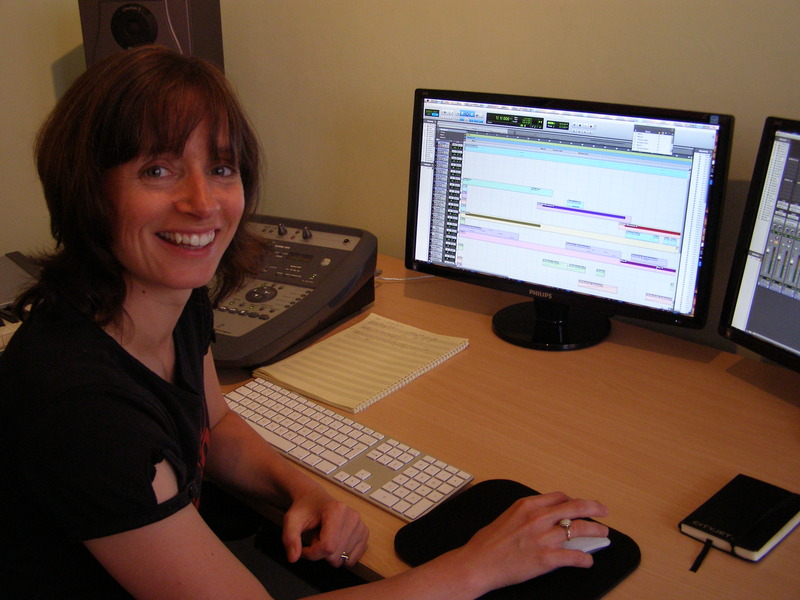 Andrea composes music for film and television, and her credits include The Devil’s Rock, Goon, and Distorted Frequency, and her music has been featured on a number of television shows including Come Dine with Me, Keeping up with the Kardashians, and Tales of Northumberland with Robson Green. Andrea’s first work with us was on Timedancer. She composed a number of tracks for the game, including the main theme which you can listen to here on the Timedancer Comic Con trailer (her brief was to come up with something big, and epic). We then collaborated again on Zombies Ate My City. With Zombies Ate My City, we came up with the idea of having one main theme which would then crop up, subtly, throughout the game. The theme was featured in mission and reward videos (Andrea also came up with a really cool retro arcade track for the gameplay sections). It was her work on Zombies that really excited me about working with her on Bad Day for a Balloon Ride. I really liked the idea of having one main theme, which would then get adapted in style for each of the different levels. Our level range, in the game, is incredibly varied. We begin on a hillside, moving onto pirates, prehistoric, and space themed levels (amongst others). The theme needed to be loopable, and distinct. The challenge was to come up with a theme that could be used in each level, and be recognisable, whilst keeping each level’s track unique. For Bad Day for a Balloon Ride I needed to write a musical theme which was flexible enough to change and suit each level but the listener could still identify. With the original theme heard in the hillside level, I wanted to give a sense of floating. For the variations the melody basically stays the same with the accompaniment and instrumentation changing to suit the environment. The story of each level accompanied by developing visuals were the stimulus for my musical ideas. Here is our main theme, used on the Hillside Levels. And here is a section from the Pirate Level. And here is a section from the Space Level. You can hear our main theme in different sections of each track, but each track stays faithful to the theme and conveys the feel of the level. Enjoy your listen! We’ll share some more audio as we get closer to launch!